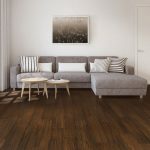 Which Bamboo Floors have anti-slip lacquer? All of our bamboo floors with a matt lacquer, also have anti-slip properties. This entry was posted in Bamboo Floors and tagged bamboo surface finish, anti-slip bamboo, bamboo anti-slip, bamboo flooring lacquer on January 29, 2019 by chris elliott.